All along, our Prime Minister has said that Britain will take back our ‘Fishing Grounds’! 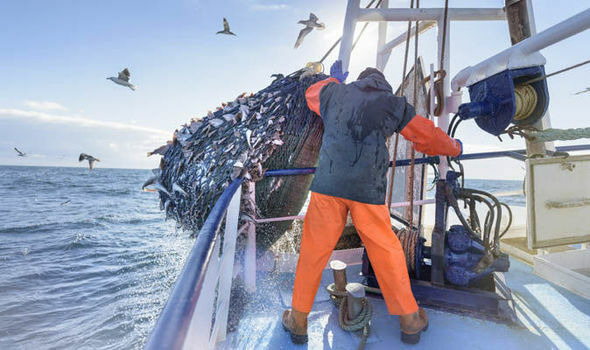 All along, our Party has had a horrible suspicion that the Conservative’s would be prepared to ‘Sell Out’ our fishermen and indeed people, on this matter. Recently the dreaded E.U. Super-state has said that it wants to retain the rights to fish our waters as part of any final agreement. We Nationalists would never have agreed to this arrangement in the first place and we warn the ‘Remain Conservatives’ that the British people will never forgive their Party, if they betray us on this or any other matter regarding our withdrawal from the E.U. Tagged Brexit, British Democrats, britishdemocrats.uk, EU, Leave EU. Their plan, all along, was for us to slip gently, gradually and softly into a totalitarian dictatorship of an utterly venal globalist elite until the cure seems worse than the disease. And after all this nation has achieved and all it has endured, once again we find ourselves feeling a deep sense of wrong. We may not stand an outside chance, but we must try. Yes – they think they have been so crafty with all their friends in high places to masquerade their betrayal but they have only succeeded in planting a seed of disaffection in half the electorate. And, if history teaches us anything, it is that all elites ultimately fail, all of them, even faux liberal ones.